Claim payment by payment voucher. Claim can be shown via pay slip / report. 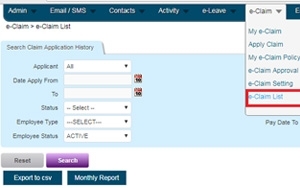 View claim application status and previous leave record through our user- friendly system (e-Claim > My e-Claim). 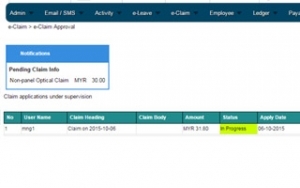 The feature (e-Claim > Claim Approval) allows manager to check if there is any pending claim application. 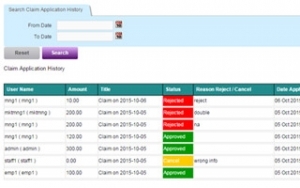 HR personnel can view overall claim submission and update payment status (e-Claim > e-Claim Reports). 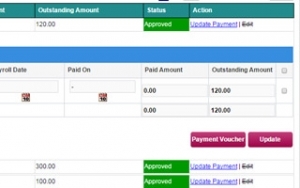 Payment can be reimbursed manually, by payment voucher or monthly payroll.